Stereoscopic image of Shagg Rocks at Cape Foulweather, late 19th or early 20th century. The cape can be viewed from Otter Crest State Scenic Viewpoint. This Lincoln County, Oregon state location article is a stub. You can help Wikipedia by expanding it. The Oregon Coast is a coastal region of the U.S. state of Oregon. It is bordered by the Pacific Ocean to its west and the Oregon Coast Range to the east, and stretches approximately 362 miles (583 km) from the California state border in the south to the Columbia River in the north. The region is not a specific geological, environmental, or political entity, and includes the Columbia River Estuary. Whale Cove is a small cove, approximately one-third of a mile (0.5 km) in diameter, located on the Pacific Coast of Oregon in the United States, approximately 1.4 mi (2.3 km) south of the city of Depoe Bay. The cove is located at approximately 44 deg 44 min N latitude. Cape Prince of Wales is the westernmost point on the mainland of the Americas. 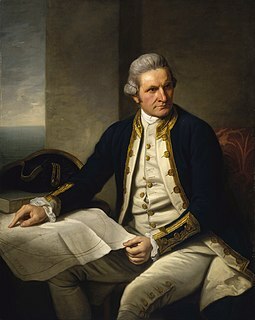 It was named in 1778 by Captain James Cook of the British Royal Navy, presumably for the Prince of Wales at the time, George Augustus Frederick. Cape Blanco is a prominent headland on the Pacific Ocean coast of southwestern Oregon in the United States, forming the westernmost point in the state. Cape Blanco extends further west than any point of land in the contiguous United States except Cape Alava, in Washington. The cape is part of Cape Blanco State Park and is the location of the Cape Blanco Light, first lit in 1870. Coos Bay is an S-shaped inlet where the Coos River enters the Pacific Ocean, approximately 10 miles (16 km) long and two miles wide, on the Pacific Ocean coast of southwestern Oregon in the United States. The city of Coos Bay, once named Marshfield, was renamed for the bay and is located on its inner side. The Port of Coos Bay is the largest and deepest port between San Francisco, California and the Columbia River. Queen Charlotte Sound is a sound of the Pacific Ocean in British Columbia, Canada, between Vancouver Island in the south and Haida Gwaii in the north. It merges with Hecate Strait in the north and Queen Charlotte Strait in the south. The Oregon Coast Trail (OCT) is a long-distance hiking route along the Pacific coast of Oregon in the United States. It follows the coast of Oregon from the mouth of the Columbia River to the California border south of Brookings. The Columbia Bar, also frequently called the Columbia River Bar, is a system of bars and shoals at the mouth of the Columbia River spanning the U.S. states of Oregon and Washington. The bar is about 3 miles (5 km) wide and 6 miles (10 km) long. Cape Alava, in Clallam County, Washington, U.S., is the westernmost point in the contiguous 48 states. The westernmost point is located in Olympic National Park and the Makah Indian Reservation. Cape Creek Bridge is an arch bridge that spans Cape Creek in Lane County, Oregon, United States. The bridge carries U.S. Route 101. Opened in 1932, it was designed by noted bridge engineer Conde McCullough and built of reinforced concrete by John K. Holt. The total length of the bridge is 619 feet, with a main span of 220 feet. The bridge resembles a Roman aqueduct, with a single parabolic arch that spans half its length. It was listed as Cape Creek Bridge No. 01113 on the National Register of Historic Places in 2005, as part of the McCullough, C.B., Major Oregon Coast Highway Bridges MPS. Cape Flattery is the northwesternmost point of the contiguous United States. It is in Clallam County, Washington on the Olympic Peninsula, where the Strait of Juan de Fuca joins the Pacific Ocean. It is also part of the Makah Reservation, and is the northern boundary of the Olympic Coast National Marine Sanctuary. Cape Flattery can be reached from a short hike, most of which is boardwalked. The westernmost point in the contiguous United States is at Cape Alava, south of Cape Flattery in Olympic National Park. However, the westernmost tip of Cape Flattery is almost exactly as far west as Cape Alava, the difference being approximately 5 seconds of longitude, about 360 feet (110 m), at high tide and somewhat more at low tide. Cape Hawke is a coastal headland in Australia on the New South Wales coast, just south of Forster/Tuncurry and within the Booti Booti National Park. Heceta Head is a headland that stands 1,000 feet (300 m) above the Pacific Ocean in Lane County, Oregon, United States. The Heceta Head Light is located on its south side. Heceta Head is named after the Basque explorer under Spanish Commission, Bruno de Heceta, who explored the Pacific Northwest in the 1770s. The headland marks the end of a lower-lying stretch of the coastline to the south dominated by sand dunes; the coastline to the north is more varied. Devils Elbow is the bay south of the headland at the mouth of Cape Creek, and with the headland formed Devils Elbow State Park, which is now part of Heceta Head Lighthouse State Scenic Viewpoint. Moolack Beach is an undeveloped sandy beach on the Oregon Coast about 4 miles (6 km) north of Newport in Lincoln County, United States. It is almost 8 km (5 mi) in length with the south end at Yaquina Head and the north end at Otter Rock, the site of Devils Punch Bowl State Natural Area. The northern beach is the site of Beverly Beach State Park and the community of Beverly Beach. The beach has no obvious break delineating what would seem to be Beverly Beach, though Wade Creek is a likely candidate. The nearly ten foot tidal range and seasonally-varying slope of the beach can cause the sandy beach to completely disappear at times; at other times it can be hundreds of feet wide. The beach is bounded by U.S. Route 101. Cape Perpetua is a large forested headland projecting into the Pacific Ocean on the central Oregon Coast in Lincoln County, Oregon. The land is managed by the United States Forest Service as part of the Siuslaw National Forest. Carl G. Washburne Memorial State Park is a state park in the U.S. state of Oregon, administered by the Oregon Parks and Recreation Department. This park is in Lincoln County near Newport and Waldport. Very Scenic wide beach, great for dogs, kids, kites. Some areas nearby are SNOWY PLOVER protected breeding areas, where dogs are banned, so be careful to keep dogs leashed if uncertain, and always in the State Park itself.